This is one of the things I enjoy the most about survival and preparedness. Since it involves such a wide spectrum of skills and fields, there’s always something new and interesting to learn. Visiting one of the local knife forums I found one of the top knife makers in the country offering a day class on knife making, so I signed up. 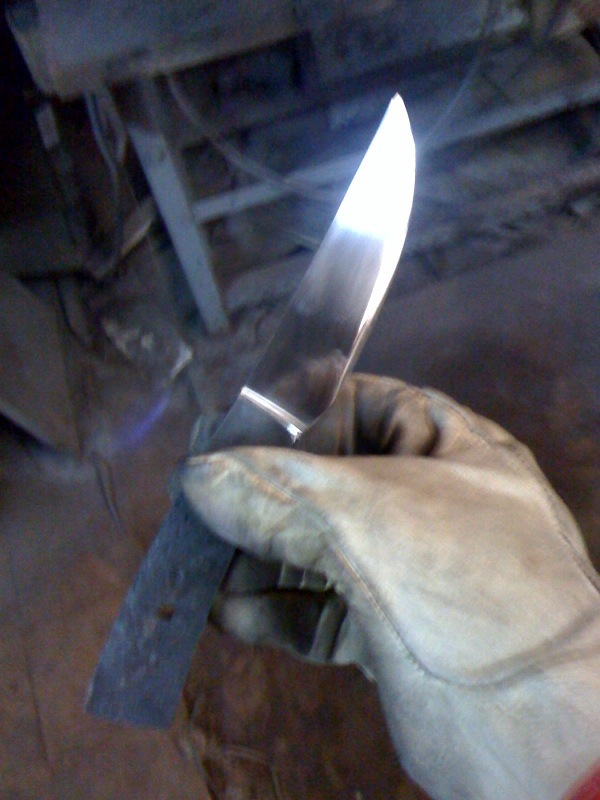 I made a little general purpose knife. (some people would call it bushcraft knife :-) ) I have a few ideas for it and will post again once I finish it. 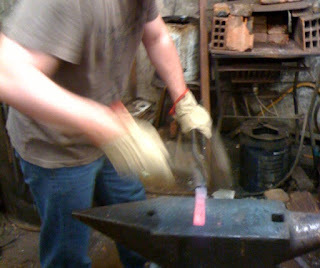 The steel used is 5160, hammer forged and with differential tempering. The edge reaches 58-59 Rc hardness with the tempering we did and the spine stays a bit softer, which makes it more resistant to abuse. Pretty happy with it, met some interesting people and learned a couple new stories to share. Got to go now but I’ll post them later today. Have fun people, Go out and do stuff! That is extremely cool. Nice knife!! You could do a part time business making custom knives, I know folks doing that. There's a handy book called "country wisdom and know-how" where they talk about using a chunk of railroad rail as an emergency anvil. Bet you could use a chunk of steel I beam, too. Not sure how you would cut it down to size, though. with good steel are $5 per pound. Good for you, brother. Time well spent. "Doing" is what it's all about.